The kick-off to a perfect weekend.. Combine the whole milk, pumpkin puree, eggs, brown sugar, vanilla, cinnamon, nutmeg and ginger in a large shallow bowl and whisk until smooth. 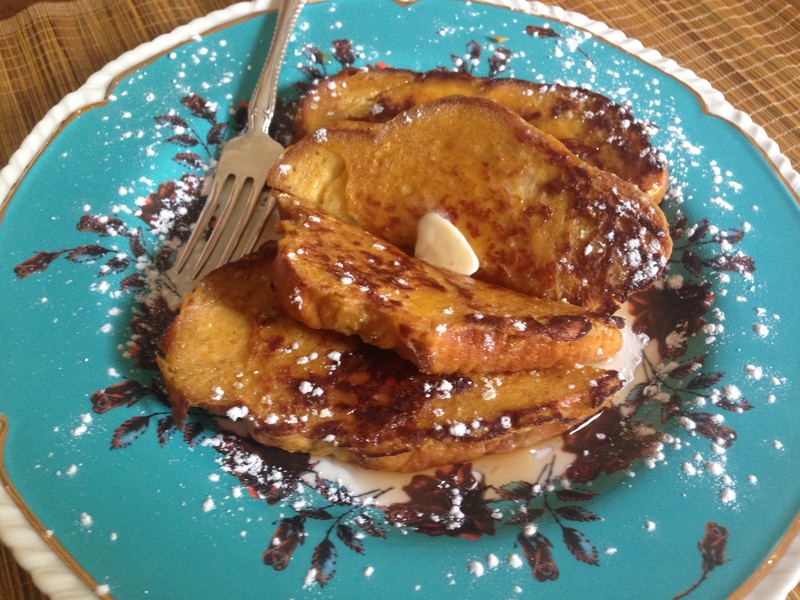 This entry was posted in Recipes and tagged Breakfast, french toast, maple syrup, Pumpkin. Bookmark the permalink.